Established in 1971, the Annex Galleries inventory includes works from the 19th, 20th, and 21st centuries, with a focus on American printmaking from 1900 to 1975. Our specialties include color woodcut, modernist prints, abstract expressionist prints of the 1940s and 1950s, WPA and works created at Atelier 17 in New York and Paris. Through numerous catalogues on California prints created between 1900 and 1950, we have illustrated California’s important niche and artistic contributions to the history of American printmaking. Our broad interests have created our inventory which consists of over 8000 works on paper, over half of which are on this website. Other areas of interest include European, Japanese and Hispanic prints as well as photography, sculpture, and painting. 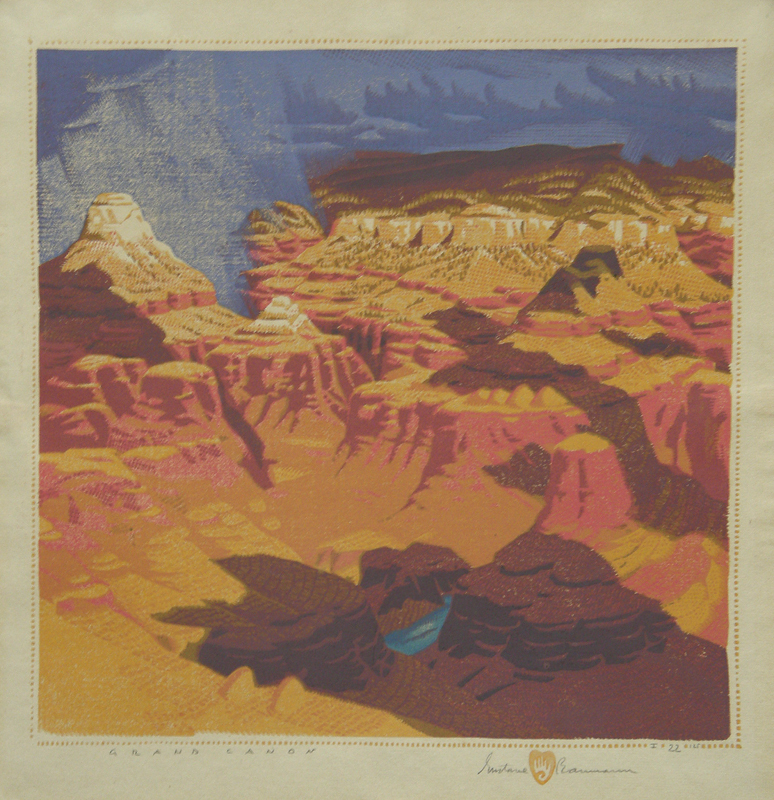 We’ve introduced relatively unknown printmakers to collectors and curators and watched them embrace the work of artists such as Gustave Baumann, William S. Rice and Augusta Rathbone (whose estates we exclusively represent), Edmond Casarella, Cora Boone, Helen Hyde, Walter Kuhlman, and Tom Robertson. We are currently writing the catalog raisonne on Gustave Baumann’s color woodcuts. Please note: We are happy to answer any questions about the blogs we post. However, if you have something you are interested in selling or having appraised, please contact us by phone or email, as we are not able to answer questions regarding sales on this blog. Thank you for your understanding. Thank you for sending me an update about Gustave Baumann in the future. I am interested in the works of Henry Wolf. Regrettably your website isn´t searchable, the link ( http://www.annexgalleries.com/inventory?q=henry+wolf) leads to a blank page. Can you please provide me with a list an images of the works you offer, also of the blocks. I have a woodcut from W. Chase Corwin, 1927 entitled Sunset. Any idea what it is worth? After going through our comment archive, I see that we appear to have missed your comment; I apolgize for the delay in reply. Unfortunately, we can’t give an accurate estimate of the worth of a print without being able to look at it firsthand. However, you could email us a JPG or PDF at artannex@aol.com, with any pertinent information attached (image and paper measurements, provenance or additional paperwork, etc.) and let us know what you would like to do with it (if you are interested in selling, consigning, getting an insurance appraisal, etc.) and we can get a better idea of where to go from there. I own a Beverly Hackett/Dorothy Cooper print #75 of the Red Castle, Nevada City, CA. Of course, I am interested in selling or consignment. It is described, dated 1952, numbered and signed in pencil by both the above artists. We’d certainly like to take a look at it. The best way, if you are too far away for an in-person consultation, is to contact us through our regular email, artannex@aol.com, with a digital image and any pertinent information that you have on the piece. We have, yes. Thank you for sending such great images. We haven’t had the time to sit down and do the research yet, as we’re still unpacking and rehanging the gallery after last weekend’s San Francisco Modernism show. We will email you as soon as we can.